The ZEITWERK is the first mechanical wristwatch that displays the time digitally with jumping numerals that allow unambiguous legibility at all times. 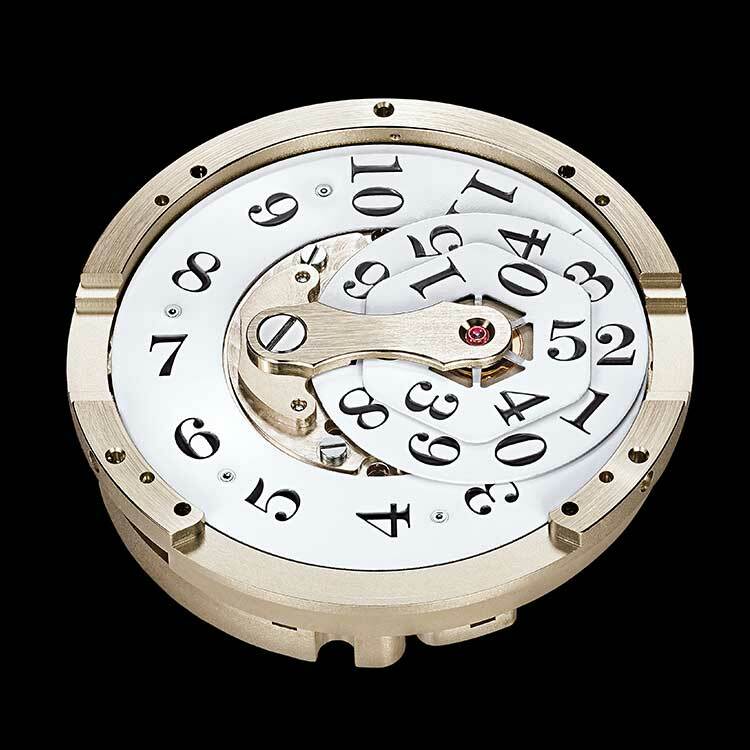 In addition to a tens- and a units-minute disc, the jumping numerals mechanism is endowed with a large hour ring that spans almost the entire diameter of the movement. All numerals are identical in size and arranged for natural left-to-right reading. When we developed the ZEITWERK, we questioned everything – except for the mechanical heart. The result is a digital-display watch with a jumping numerals mechanism. Its most salient design feature is the time bridge. Framing the displays of hours, minutes and seconds, it is a component of the movement that penetrates the dial in this place. 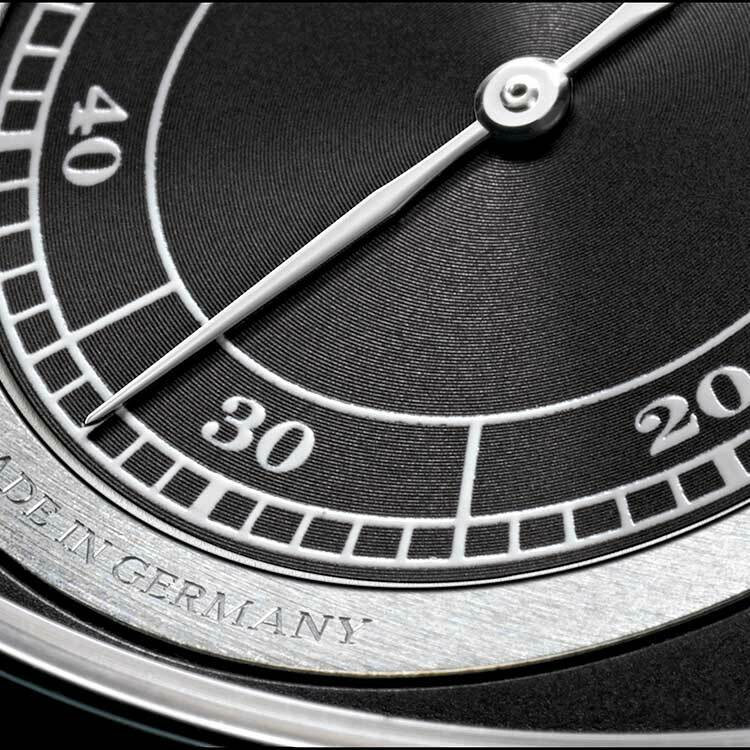 The short film shows detailed views of the Zeitwerk, our mechanical watch with a digital display: the crown positioned near the top of the side of the case, the AUF/AB (UP/DOWN) power-reserve display, the vibrating off-centre balance-wheel, the busy action of the small seconds and finally the complete movement. A close-up view shows the changing all three jumping numerals discs from 7.59 to 8.00. Finally the watch is wound up. On the movement side, this winding can be seen turning the barrel. The lavish finissage on the dial of the ZEITWERK HANDWERKSKUNST underscores the finesse of the digital jumping numerals display.